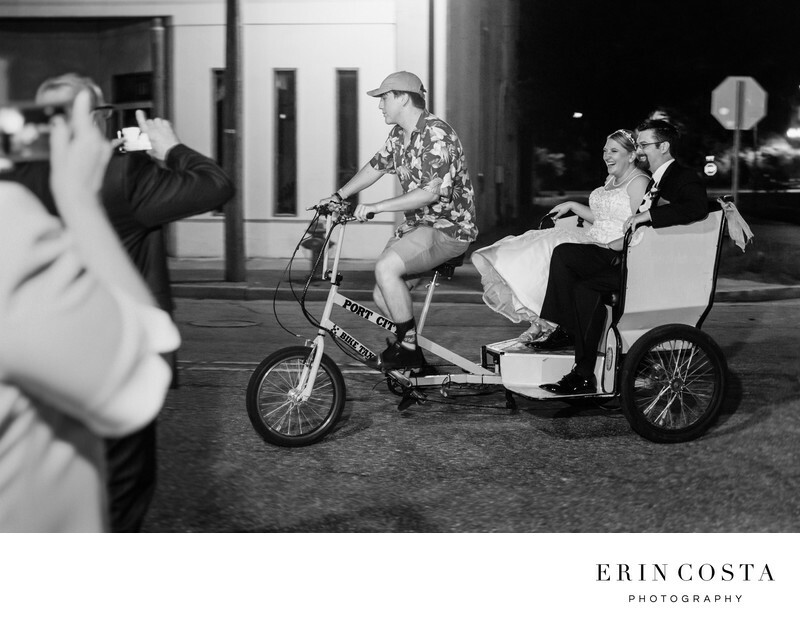 There are so many fun options for wedding exits, and leaving in a bike taxi is one of the best. You are able to hear and see your guests cheering you on as they peddle away and it's a fun experience. Jana and Brennan opted for a sparkler exit after their Brooklyn Arts Center wedding, followed by a bike taxi ride to their hotel in downtown Wilmington for the evening. You can see from their expressions in this image they are loving every minute of it! Location: 516 N 4th St, Wilmington, NC 28403.